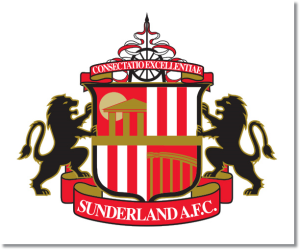 Premier League Preview for Sunderland v Chelsea along with Predictions for every result in the EPL. Follow up each match with results and video highlights posted later in the week. Sunderland remain in 19th place with only eight points following their 0-0 home draw against Aston Villa. They have continued to be inconsistent even though they did get their only two wins of the season within their last five games. Chelsea’s come from behind win over Southampton on Sunday means that they are now unbeaten in 18 out of their last 20 EPL matches. Chelsea has scored two or more goals in six out of their last seven Premier League matches including three straight. My prediction is for another Chelsea win to continue putting pressure on Arsenal at the top. Sunderland continue to struggle to both score goals and keep them out. Chelsea’s Premier League form has been good recently and this should add to it.